There's nothing like a friendly little you-pick-the-score game to liven up the office during Super Bowl week. This pool, built around a simple visual chart, calls for no skill or knowledge of the game (although the winner may deny that). Get pens and a large piece of blank paper. 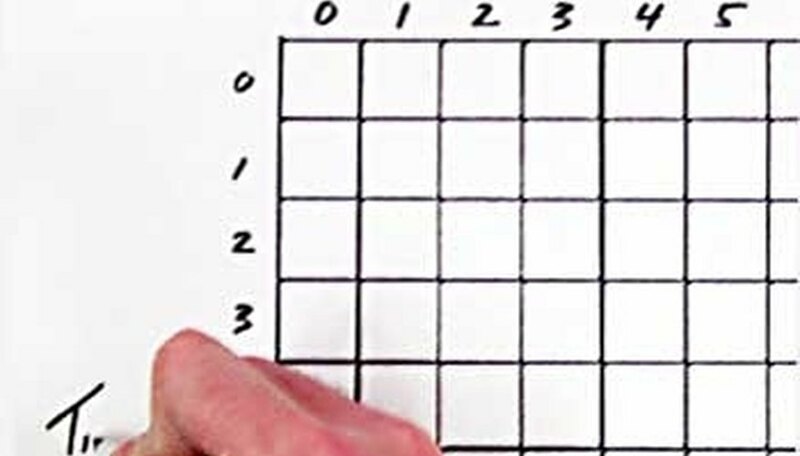 Write the numbers 0 through 9 across the top, above each square. 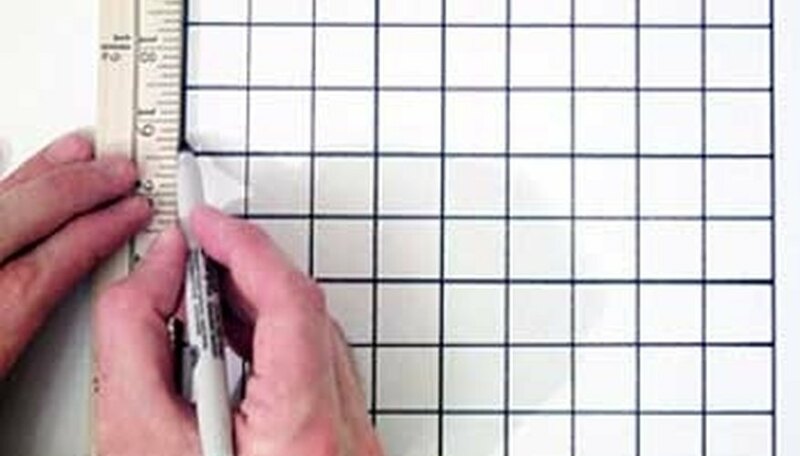 Write the numbers 0 through 9 along the left side of the grid, next to each square. Write one Super Bowl team's name at the top (the St. Louis Rams, for example) and the other on the left side (say, the Tennessee Titans). 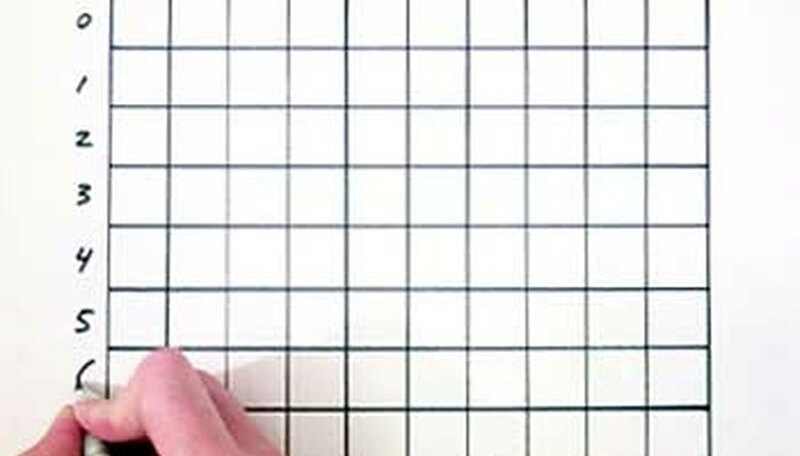 Sell each square for one unit, which will provide a 100-unit payoff. Players may want to acquire more than one square; it's best to use all squares. 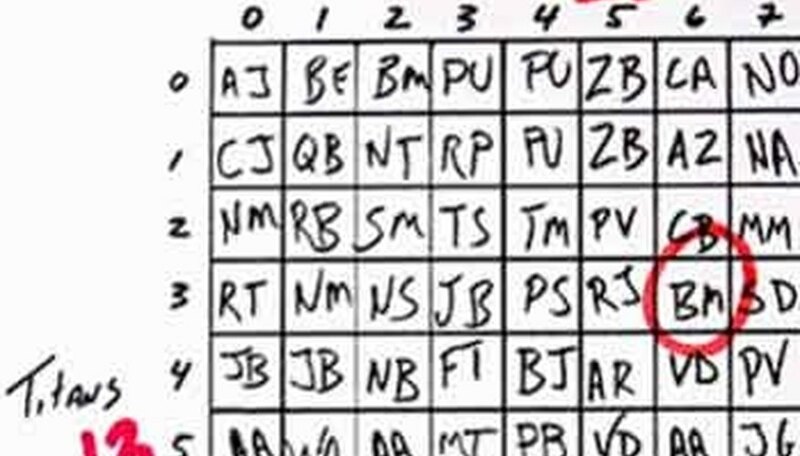 Write the initials of the buyer in the corresponding square. Enjoy the commercials more than the game. Match the last digit of each team's final score with the grid to decide the winner. 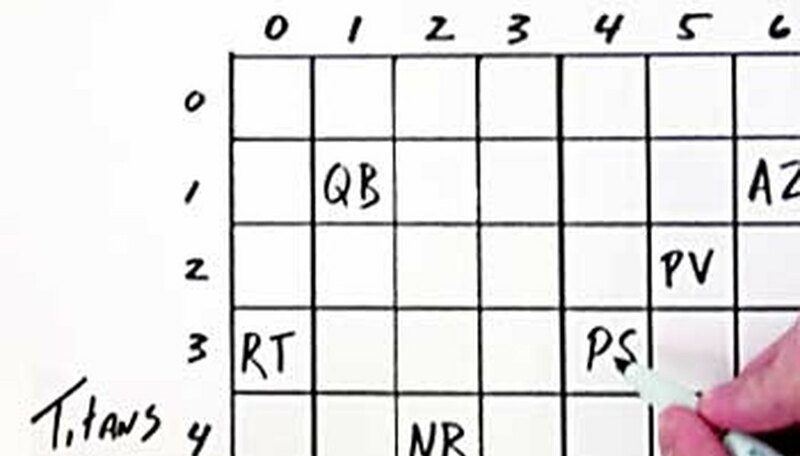 For example, a score of Tennessee 13, St. Louis 26, would mean finding the square where 3 on the vertical scale meets 6 on the horizontal. If Bill chose the space where these two numbers meet, he's the winner. For steady involvement, try parsing the payoff by quarter. For instance, 5 percent goes to the winner of the first quarter, 10 percent to the person with the correct halftime score, 10 percent for the third quarter and 75 percent for the final score. If not all squares are claimed, declare the winner to be the one who is closest to the winning square. Some scores are rare in football. Eight, for example, is less common than seven. Choose accordingly, and consider a fee system in which popular numbers are more expensive. Gambling is illegal in many states.